Get the best mattress cleaning prices in the City of London by calling 020 8050 2865 or request a quote by using our quote form. 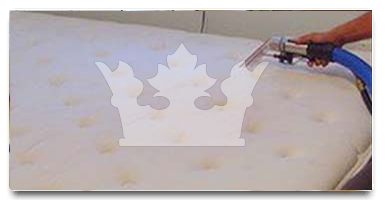 Every once in a while to keep your home healthy a mattress cleaning is required and there's no one better than Royal Cleaning that you could call for this job. Our staff is thorough and has all the needed professional equipment for a mattress cleaning that will leave your bedding in a healthy, clean state. We guarantee removing of the dust mites and other nasty critters at prices affordable to every customer in the City of London. Call us now at - 020 8050 2865 and ask for your free no obligation quote on mattress cleaning. Our long experience in the cleaning industry in the City of London has showed us what our customers expect from a mattress cleaning and we have developed a method which completely satisfies even the most demanding customers. Call us at 020 8050 2865 and we will take care of the rest for you! We make sure that every customer who contacts us by phone or email is quoted properly, which we ensure by asking all the right questions and nothing unnecessary. You can be sure that the price for your mattress cleaning in the City of London with us will always be the right one and nothing more. Without any hesitation I would recommend the mattress cleaning of Royal Cleaning to family and my closest friends as well. I rarely recommend services like theirs, but they helped with my daughter's allergies. It turned out that a simple mattress cleaning solved her respiratory problems, something I had paid so much money to deal with. If you want to keep your home healthy, there are certain things that you should do and I have established that mattress cleaning at least 4 times a year is one of the things I want to do for my family. Royal Cleaning's staff are the people who do the best job in the whole City of London. I have changed a lot of properties over the past few years and I know that for a fact.